Opening Hours : 9 am to 5 pm on tuesday to sunday. Bus Routes: 103, 111, 112, 814, 819 to Gallery. The National Aviation museum is situated in the Changping District, one of the 6 outer suburbs of the city of Beijing. The China Aviation Museum is situated in Changping District, which is one of the six outer suburbs of Beijing. The Great Leap (Forward) - Communism in the Peoples Century Buy the DVD Film ! 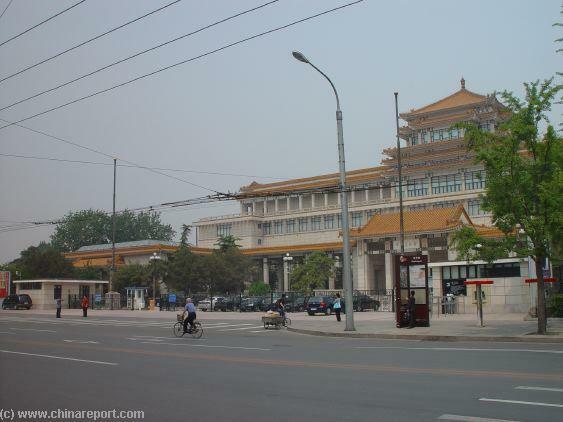 Sound Bonus: "One Night in Beijing", Airbase Remix. 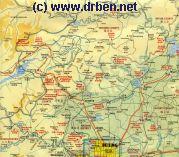 By Jamaster A.
Map overview of Beijing Northern outer suburbs and rural districts. Map includes locations of towns, villages, the Great Wall of China and major and minor landmarks and monuments of the area and wider region.